There have been further developments at Fukushima overnight that have, according to the IAEA, made the situation ‘reasonably stable‘ (although it is still serious). Given the state of play over the last week, I’ll take any positive sign I can get. Through visual surveys from the helicopter flying above the Unit 4 reactor secondary containment building on March 16, it was observed that water remained in the spent fuel pool. The helicopter was measuring radiation levels above Unit 4 reactor secondary containment building in preparation for water drops. This report has not been officially confirmed. Despite high levels of radiation close to the units, levels detected at the edge of the power plant site have been steadily decreasing [the below is given in reverse chronological order]. Radiation readings at the Fukushima Daiichi site boundary were measured today at a lower level, between 2 and 3 millirem per hour. Reactor 1’s primary containment is believed to be intact and the reactor is in a stable condition. Seawater injection into the reactor is continuing. Reactor 2 is in stable condition with seawater injection continuing. The reactor’s primary containment may not have been breached, Tokyo Electric Power Co. and World Association of Nuclear Operators officials said on Thursday. Containment pressure is at 65 psig, an indication that containment has not been breached. Access problems at the site have delayed connection of a temporary cable to restore offsite electricity. The connection will provide power to the control rod drive pump, instrumentation, batteries, and power to the control room. Power has not been available at the site since the earthquake on March 11. Reactor 3 is in stable condition with seawater injection continuing. The primary containment is believed to be intact. Pressure in the containment has fluctuated due to venting of the reactor containment structure, but has been as high as 83 psig. TEPCO officials say that although one side of the concrete wall of the fuel pool structure has collapsed, the steel liner of the pool remains intact, based on aerial photos of the reactor taken on March 17. The pool still has water providing some cooling for the fuel, however helicopters dropped water on the reactor four times during the morning (Japan time) on March 17. Water also was sprayed at reactor 4 using high pressure water cannons. If all of this is successful, the plant will be able to take over from the workers in cooling the fuel in the reactor. I’ll provide a further update at the end of today. Meanwhile, you can track the comments on this post (Note: I suggest we switch to this thread for the rest of today), which are once again doing a great job at providing a minute-by-minute feed of the latest developments. Below I reproduce a short essay by Ted Rockwell. Dr Rockwell is a member of the National Academy of Engineering. His classical 1956 handbook, The Reactor Shielding Design Manual, was recently made available on-line and as a DVD, by the U.S. Department of Energy. Back in 2002 he was co-author on an article in Science journal, “Nuclear Power Plants and Their Fuel as Terrorist Targets“. It’s definitely worth reading as it’s highly relevant to the current situation — if you bear in mind that the ‘terrorist’ in this context was Mother Nature — and a brutal one at that. What has this earthquake taught us? That it’s much, much riskier to choose to live next to the ocean than it is to live next to a nuclear power station. A lot of wrong lessons are being pushed on us, about the tragedy now unfolding in Japan. All the scare-talk about radiation is irrelevant. There will be no radiation public health catastrophe, regardless of how much reactor melting may occur. Radiation? Yes. Catastrophe? No. Life evolved on, and adapted to, a much more radioactive planet, Our current natural radiation levels—worldwide—are below optimum. Statements that there is no safe level of radiation are an affront to science and to common sense. The radiation situation should be no worse than from the Three Mile Island (TMI) incident, where ten to twenty tons of the nuclear reactor melted down, slumped to the bottom of the reactor vessel, and initiated the dreaded China Syndrome, where the reactor core melts and burns its way into the earth. On the computers and movie screens of people who make a living “predicting” disasters, TMI is an unprecedented catastrophe. In the real world, the molten mass froze when it hit the colder reactor vessel, and stopped its downward journey at five-eights of an inch through the five-inch thick vessel wall. And there was no harm to people or the environment. None. The important point for nuclear power is that some of the nuclear plants were swept with a wall of seawater that may have instantly converted a multi-billion dollar asset into a multi-billion dollar problem. That’s bad news. But it’s not unique to nuclear power. If Fukushima were a computer chip factory, would we consider abandoning the electronic industry because it was not tsunami-proof? It would be ironic if American nuclear power were phased out as unsafe, without having ever killed or injured a single member of the public, to be replaced by coal, gas and oil, proven killers of tens of thousands each year. 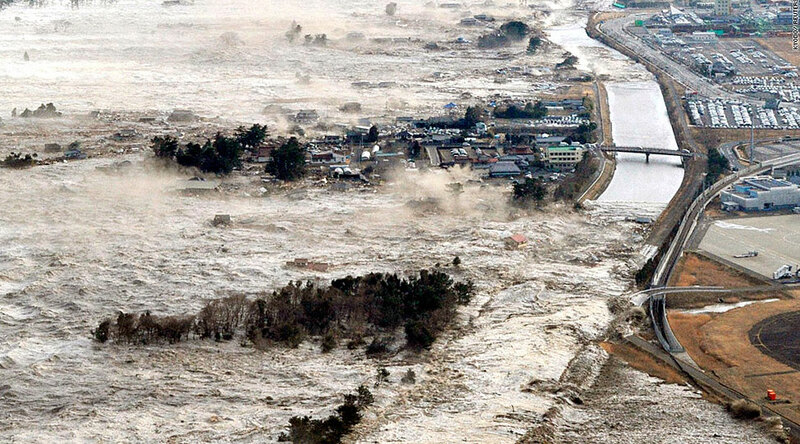 The lessons from Japan involve tsunamis, not radiation. I must admit that our Science articles did not give much attention attention to the small-volume containment plants, and we should do so after the information on Fukushima has come in. Our focus was on getting past the proving that scenarios that led to intolerable situations were tolerably improbable. This traditional approach is an essential but not sufficient part of plant design. My approach was to come in from the other side: To assume that the worst situation was one that led to some molten fuel, coupled with loss of containment integrity, and ask: what then? Does radioactivity get out in great enough quantities, into enough lungs? That’s essentially the TMI situation, and I concluded that it led to the TMI outcome: a disaster for the plant owner, but a wholly tolerable situation radiologically. We’re going to have to go back and apply a wider range of conditions to that analysis. But radiation must still be treated like any other variable, and not the ultimate injury. It should not outrank death by inhalation of coal particles, for example. The obsessive fascination with radiation as the worst possible danger leads to mass evacuation as the most conservative response. I don’t know any experienced disaster manager who agrees that mass evacuation is always a conservative response. I’m seeing so much over the top paranoia over radiation here in the States…again, appreciate the science of the event being discussed on your blog. It’s interesting to note that the mass evacuation is not the only already taking place. Instituted radiation measurements and controls on farm produce and other foodstuff has already created problems for shop owners in Japan. They fear that patrons will not buy any food from Fukushima Prefecture based on irrational fears of radiation, even products that were packed before the quake. That could result in food spoilage that’s certainly not good news when a lot of food was already spoiled by loss of electric power to refrigeration. More media fear-mongering or is there any truth to this? Goodmorning, tiny question that i havent been able to get an answer on: Is use of seawater as a coolant like it is being used here standard accident management strategy? When they shut down a Nuclear plant does that mean even if damaged it won’t over heat? Can all workers leave the plant? What is the source of the plume as reported by the Comprehensive Test Ban Treaty Organisation, a Vienna-based UN arm and London Volcanic Ash Advisory Centre. Surely an ongoing plume suggests a source that is superheated and what is in that plume? contents of plume would be a great way to determine what is going on in plant. Susanne, on 18 March 2011 at 11:23 AM — That is a fairly decent coverage. There is no possibilty that the radiation will have any public health consequences, anywhere in the world. 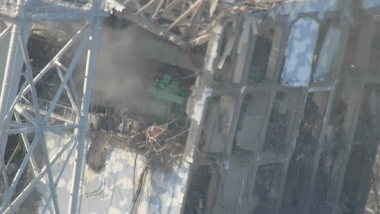 bchtd1parrot, on 18 March 2011 at 11:33 AM — Not standard, but necessary after the tsunami damage. Greetings from Athens, Greece and thank you for the sane and coherent approach you keep providing us. Our parents’ panic during the Chernobyl accident (which lasted several years after it) has scarred our generation and those traumas have not yet healed: our family physician, roughly my age (mid 30s) advised me one month ago to avoid milk from northern Greece farms for fear of possible contamination caused by radiation during the Chernobyl accident! Of course, as you can imagine, people are already panicking over Fukushima and their panick seems justified, since a well known Greek physics Professor predicted that the radioactive cloud will arrive in Greece in 8 days time! I would appreciate your input, as to whether this statement, which has caused so much panic is correct. Thanks again for all the science and keep up the good work, we really need voices like yours in order to keep our own sanity. It’s no surprise the CTBTO International Monitoring System radinuclide stations have picked up the first “fallout”, also within their own weather modelling estimates developed for tracking of airborne radionuclides. Remember however, that their instrumentation is probably the most advanced in the world, since it’s designed to detect small releases from small underground nuclear tests, which the testing country would do their best to try to hide. IOW, their monitoring stations have to be extremely sensitive to do their primary work, to deter anyone from attempting to do a clandestine nuclear test without getting caught. Their policy of not releasing actual measurement data is a bit silly though, because all countries deeply involved in the nuclear weapons game will know their exact capabilities anyway. Daily update again invaluable. For Ted Rockwell and all commentators, me included, we must not, at any point, say, suggest or insinuate that good people are stupid for being scared right now. Acknowledge fears as legitimate PLEASE, or we lose people for ever. It has been mentioned that modern nuclear plants are much better designed with the provision of gravity-fed coolant. Just wondering how could this system work continuously without requiring any power(pumping). Barry, thanks again for the site and lets hope radiation levels are really falling meaning level is being recovered or maintained for shielding in the affected spent fuel pools and Reactor vessel primary containments…. No spikes would also indicate no required containment ventings for pressure…. Susanne, it’s true, but it’s expected. You have to remember that radioactive material is REALLY easy to detect and identify, even in miniscule quantities. Each “click” on a geiger counter represents a single atom undergoing a decay event. Each decay event also creates a little gamma-ray “flash” which is unique to the isotope producing it, so we can identify these elements in minute, incredibly dilute quantities. We WILL detect fission byproducts crossing the pacific. We WILL detect radioactive iodine, cesium, strontium 90 etc., because these isotopes were present in the vented steam and are now in the atmosphere as fine dust. The press will refer to them as “contamination”, describe the isotopes as “potentially lethal”, cancer-causing etc. and pay absolutely no attention to the truly tiny quantities. Expect it, and take with a pinch of salt. At some point the industry has to get control of this whole media release issue and make the facts understandable to the average citizen…. This is not to say things are better yet, it’s just a fact of what has gone on for the last week for information sources as the events unfolded….. If the latest reports are true, we should all be thankful for those that stayed and fought the fight to this point. And I echo em1ss — many thanks to Barry for this informative site. Amen to that. Judging people on the basis of their emotional reactions is very easy for someone who at least is convinced he knows what this is all about. Being nuclear experienced is just another way of being streetwise. Same feel, different street. You cant even blame people for being a total nusence under these circumstances. Besides, there may be no fear in Ted Rockwell’s words and i love reading it, but its not free from emotions either. This post and the ones before it have created quite some understanding and destroyed lots of fear. Most people who read this are no experts. Thank you all very, very much. TEPCO certainly seems more confident now. They are giving more press conferences and their spokespeople seem calm & confident. ditto for the NISA people. I hope it is not just good PR but things do not seem to be getting worse at least (touch wood). Kevin Johnstone, on 18 March 2011 at 12:03 PM — There should still be ‘grave concern’ regarding the #4 spent fuel pool. Dave, they are not out of the woods by any stretch of the imagination yet… But this is indications of a significant turn in events. Getting dose rates down at the site boundary that much means they will be able to get closer to the problems and work them off… That’s as simple as I can state it. Thank you for the increased frequency of your updates. I’m trying to get reliable, factual updates elsewhere, but informatino seems garbled, so this is my primary source. It’s also been highly enlightening. Are there electricians here to answer this? If the Tsunami inundated the plant while power was live , will the multiple systems surely involved be serviceable again if main power suddenly becomes available? I wonder if electrical devices within the plant have sustained serious damage? I know one probably could have gathered this from all the previous tech talk here, but while I gather that “radiation” is measured in some consistent way I also know that there’s different kinds of radiation, and that gamma rays especially are very bad, right? So, for instance, are all “millisieverts” or whatever just … “millisieverts” so that all are equally dangerous? Or are there “non-gamma-ray” millisieverts and then “gamma-ray” millisieverts, so that the latter are much worse than the former? Even just articulating it I guess it seems a dumb question because it would seem dumb for them to mean different things, but, still, I’ll ask. Am i correct yo understand that this scenario has never been run as a simulation? It seems odd since no component is really new. This approach is not consistent with simulation construction as in f.x. airtraffic. rpl, on 18 March 2011 at 12:13 PM — Everything is supposed to have adequate circuit breakers. Mechanical damage from the earthquake and tsunami is certainly a possibility. It is really heartening to read your in-depth and right-to-the-point analysis during this difficult time. Personally I think Japanese government has been handling the case well although they themselves have to rely much on the information provided by TEPCO. They are politicians, not scientists and it is just not right for people to keep accusing them of hiding information or telling lies. They are smart enough to know that anyone with the right knowledge and right devices can easily measure those readings so there’s no point in hiding the information. At least here in the US, it’s almost impossible to figure out what the actual status of anything is — they mix the units, they use words like “severe” — even the NYT hasn’t done a great job. Anywhere in Japan, I would be concerned. Seems like common sense. But misinformation and media type and no-nukes has turned this tragedy into a worldwide frenzied paranoia fest. I am simply a lay person trying to understand the situation. Thank you to all of those here with the knowledge of nuclear power, physics and plants that are commenting and discussing. When my kids wake up in the morning and ask me “What’s going on in Japan”, I feel like I can give them the best information available. Electrical devices submerged in sea water do not fair well, but if cleaned before fault damage may be resorable. I think what you are asking is do you just turn the power back on and all is good? Answer in short is no. em1ss seems on the money for me. Currently the biggest concern will be to get the situation at the plant under control to allow more resources to enter. In the longer term we must consider how to deal with the highly toxic isotopes that may have escaped the plant. The short lived materials should be back to safe levels before people re-enter the area and given the damage of the Tsunami this will take time. Without the water shielding you do get radiation streaming. Even a hollow pole inserted in a fuel pool will stream radiation to the surface….. Known fact. night and out, lets hope this news holds as much water as we all hope these fuel pools can later today…. If I heard right on the TV news someone said the highest cumulative dose received by any repair worker was 220 millisieverts. Hopefully those workers will live long lives and get to enjoy the praise they deserve. I find it strange how everyone has the heebie jeebies over this incident yet they are blissfully untroubled by Peak Oil or the next El Nino. The next 3 years or so will be a revelation. We’ll see how PO and AGW stack up in the overall scheme of global problems and whether the Germans really will replace nuclear with renewables. Interesting times. Electric installation answer to protection codes for dust and liquid damage. It is quite possible to estimate damage by submerging ‘on paper’ with some accuracy. My experience: If damage is significant, the component will simply not function. Damage resulting from putting the juice on would indicate design flaw rather than hidden damage. Or are there “non-gamma-ray” millisieverts and then “gamma-ray” millisieverts, so that the latter are much worse than the former? Simply put, no. Sieverts (and the US unit rem) are equivalent dose units and properly calculated they should give you radiations doses where the harm to human (or at least mammal) life are directly comparable to each other, regardless of alpha, beta, gamma, x-ray, cosmic ray, whatever type of radiation and regardless of the source of such radiation. Another way to put it is to say that sieverts were invented as a unit for evaluating health effects of radiation to humans. When you see units that are not equivalent dose units (such as gray, röntgen, rad, count per minute, etc. ), then you need to ask what kind of radiation it is and where it’s coming from to assess the health risks. However, there are many difficulties in arriving at accurate sievert doses or dose rates from measurements of different things, because the measurement deviced don’t have “synthetic humans” inside to directly measure the health effects, which are extremely difficult to measure anyhow, at least in low doses. So accordingly various conversion factors are at play. Things get even more complicated when the measured thing is contamination of air, water or even foodstuffs, because then the calculations also need to consider how radioactive particles or can get inside a human being and cause damage there. In the most complicated case you would have to consider the entire food chain from a blade of grass though a cow, to milk, through milk processing, to your table, to your stomach, to your different organs etc. Sometimes those calculations are very conservative, assuming the worst, while at other times they could be assuming less dangarous than actual effects. The risk of overestimation mostly involves the cheapest kind of portable gauges and short term (dose rate) measurements, where the meters basically assume they are reading the least dangerous radiation and then show that in sieverts with a fixed conversion factor. The biggest errors on the side of too many sieverts for a total dose come from the most complicated analysis, where a safety factor is applied at each step. So if the government tells you some milk is safe to drink, it’s extremely unlikely that they made an error in the unsafe direction. The unit sievert is already adjusted for the different effect of alpha, beta & gamma radiation on man. 1 micro sievert from a gamma ray is the same as 1 micro sievert from an alpha particle. However because they are less penetrating than gamma rays, alpha particles need more electron-volts to reach the same sieverts. Thanks all, em1ss seems to know what i am asking better than I do. bchtd1parrot, your answer is reasonable, but if you mean that the (or some) components may simply not function, I am more concerned about that possibility than about whether they can be repaired in the future. i don’t think this Plant has a long or productive future. A prolonged repair scenario does not look very good in this situation. In general a reasonably accurate, although not very illuminating and possibly quite misleading article for folks unfamiliar with radiation. Caveat; I have no idea about the accuracy of the dose rate and cesium detection in the final paragraphs of that article. How misleading all depends on the reader. First, because so many people have no idea that we are constantly being exposed to radiation from entirely natural sources. How much depends on a number of factors…but ignoring man made sources, it’s roughly 360 mrem per year. If you include medical sources (x-rays, CT scans, etc) that goes to about 620 mrem in the USA. There is no evidence that these levels do any harm whatsoever. Meanwhile a multitude of studies over decades show that even levels radically higher than this, even if on a daily basis over long time periods is probably beneficial. Next, and this is a very good thing about our technical abilities wrt radiation, we are able to detect these types of radiation down to tiny fractions of those background levels. I’m not meaning a fraction of that total annual amount, I’m meaning a fraction of your natural daily or hourly background exposure. Now, consider that whatever particulate or gaseous radiation is released from the damaged nuclear plants winds up being carried along on the wind, in whatever direction that wind goes, and at whatever speed it’s going. Both of which change over time. The larger or heavier particles tend to drop to the surface or get pulled down by rain, snow, etc. All of it is decaying along the way at various speeds – which is why it is still radioactive, but is also why the longer it has been out of the plant, the less radioactive it is. Plus, of course, there is massive dilution as the plume is spread out into the atmosphere. Think of smoke from a fire – the plume is dense and very visible right at the fire where it originates, but quickly gets to be less and less dense, less visible, as it gets further from the source, until you can’t even tell it is there. If you were right in the densest part up near the source, you might not even be able to breath. A little distance away, even if you are right in the plume pathway, you might not even be able to tell it’s there. If you are a little distance away and NOT in the plume pathway, you aren’t being exposed to any of it. So, with a radioactive plume, if you are right up at the source in the plume (as some of the plant workers have been), then you wind up being exposed to higher dose rates. They monitor those rates, and when they are high enough to be really dangerous, they pulled back into a building and waited for those levels to drop a bit. Even as they are working outside, I am certain that they are monitoring the levels and trying to work in the lower dose rate areas as much as possible — just like firemen who are working right up at a heavily smoking areas do it from upwind so they’re just as close to the problem, but not right in the heavy exposure area because it isn’t not being blown onto them. So think of that smoke plume again – if you are a few miles away, and right in the path of the wind, you may still really smell the smoke, or even see it…. but you could be that exact SAME distance away in a different direction, where the wind hasn’t blown it, and you get none. In between where winds have dispersed the plume and mixed it into the atmosphere, you may get a little, but not as much as if you were in the middle of the plume. Now, of course, the wind can change direction – and as it does, the plume winds up going over other areas. It’s not a straight line thing between you and the plant. The point is, that because we can detect such utterly miniscule levels of radiation, and because it travels with the wind, it would be surprising if we didn’t eventually detect it a long way away. We’ll detect it if the winds have blown it that direction, and we’ll detect it there in however long it took the wind to blow it there. But by the time it gets to Tokyo, or Hawaii, or the western USA, the amount of radiation and therefore the dose rate will be greatly diminished – the further from the plant, the lower it will be. By the time it got to the locations mentioned in that article, or to the west coast of the USA, sure, we’ll detect it, but it will be levels that are a small amount of the natural background levels. In other words, utterly harmless. Who knows, maybe even beneficial. I wouldn’t suggest running out to get yourself dosed up (although people do, there are ‘spas’ where you can pay a little to go into either mine shafts or hot springs with higher natural radiation levels for their supposed health benefits), but I sure wouldn’t worry about it either. Shoot there was even a very recent large study that found that people who got 3 or more CT scans of their chests in just a few years wound up with a really surprisingly significantly lower rate of lung cancers after a number of years than people who hadn’t gotten scans. So – don’t be at all worried that they detect radiation from this a long way away. It’s entirely expected and almost certainly is low level with no meaning in terms of any ill effects for anyone. @John Newlands – Well that’s the crux of it, isn’t it. The poor weighting of the real risks associated with this event, are masking a lot of real issues, not the least of which is the potential impact of AGW if the development of nuclear energy is effected. This is what infuriates those of us that have been familiar with nuclear technology for years when we are suddenly inundated by panic based on ignorance. While Ben Heard is right when he says that there are many with real fear, regardless, I also know that on these pages, and elsewhere, those that should know better are using this event to FUD the story, and elevate concern to advance their own agendas. So while there is a need to try and get everyone to put this event into perspective, we are working against forces with other objectives, and everyone should keep that in mind. Right at the moment, this site is the only one I’ve seen with “real” information and a balanced perspective. It’s too bad there aren’t more “journalists” willing to separate themselves from the herd and come here and learn a little about what they’re reporting on. It might stifle the sensationism a little bit. Thanks. I have forwarded brief excerpts with links to the last few days posts to The Old Jarhead, a US political blog that has an interest in real information. I hope you get an extra 1,000 hits. Once again, thank you for the updates Barry. Fear-mongering can get to you when reading other outlets so I’m definitely sticking with BNC and WNN for updates in this ordeal. There’s a small story in the end of Gwyneth Cravens’ book “Power to Save the World – The Truth About Nuclear Energy” that struck me as appropriate when I read this post today. Rip shrugged. “One day God could say to us: I gave you the brainiest men and women in human history to come up with an understanding of the atom and its nucleus. I gave you enough uranium and thorium to last you for thousands of years. I gave you an understanding of how when uranium decays it releases energy. You didn’t need to invent anything else. You had everything you needed to provide energy for yourselves and your descendants without harming the environment. What else did you want? This event will do serious damage to the case for nuclear energy. What saved the day is the brand new thing. Praise and best wishes to all japanese and even worst cases may not be so bad, but this is a level of stupidity you cant afford when you play with this much fire. This plant would have been as cold as the others along the coast for less than a few hundred thousand at most if anyone would have thought like a child. This is one point where i definitly do not agree with Ted Rockwell. This is not the Tsunami or the earthquake. This is major stupidity. There is an abundance of experience in other sciences in how to approach the mere concept of problems. Thats how we learned how to fly helicopters with broken tailrotors and do cobras with jets. In problem simulation you do not stop when you’re out of questions, you stop when you’re out of answers.That has not been done. Thats gonna hurt. Well said, Ben Heard. I’ll echo these sentiments. @Leigh Bettenay – Having been active in nuclear issues for many years, I can say with some confidence that there is both stupidity and conspiracy active in this field. At ant rate, in this case it should be clear to most that the mainstream media has been overly sensationalizing this story to drive traffic up. Any other interpretation of their motives would be naïve. However, I think those with said objectives are a minority (albeit, a vocal one), whose many outrageous claims involving this incident – and nuclear power generation as a whole – can be countered with appropriate reasoning that doesn’t involve sniping. Many thanks. As a lay person with very little knowledge of how this works, I greatly appreciate your sensible, easy-to-understand explanations. For many of us, radiation is a frightening word associated with the development of cancer. And, as a young woman who just three years ago lost her mother to glioblastoma multiforme brain cancer, I am especially sensitive to this subject. The unending flow of the-sky-is-falling news reports about the Fukushima events does little to help those of us who are fearful. It is comforting that there are others such as you and Barry who can explain these things in a clear, calm and intelligent manner. If only our news reporters and some of their called-upon “experts” here in the States could as well. I really do think they do everyone a disservice with their wild speculation and hyperbole. Could someone clarify what part of the nuclear plant this is? where the last week of threads gives a sense of affairs near Tokyo. A 1,000-megawatt coal plant also freely disperses about twenty-seven metric tons of radiological material a year, exposing people to much more low-level radiation than a nuclear plant would. But it is the nuclear industry that by regulation must track and isolate the smallest actual or estimated quantities of radioactive substances and foot the gigantic bill for doing so. Like mercury, radon rises invisibly from coal-fired plant smokestacks—scrubbers and precipitators can’t catch these vapors—and eventually decays into daughters that can damage the pulmonary lining, especially in people who are also inhaling tobacco smoke and fine particulates. On average, every year fossil fuels expose the American population to about a hundred times more low-level radiation than nuclear plants do. Cravens, Gwyneth. Power to save the World: the Truth about Nuclear Energy. New York: Vintage, 2010. 196. Ebook. Alberto, on 18 March 2011 at 1:30 PM — Thank you. That quotation needs to reach many, methinks. Disagree. It will do what the de Havilland Comet did for the jet passenger plane, what the USS Thresher did for submarines or what the flight deck fire on the USS Forestal did for the US Navy’s firefighting design and personnel training regimens. Every engineering/operating group will look at their desiogns and existing plants with eyes-wide-open. This link says what the US industry is doing: http://www.nei.org/newsandevents/information-on-the-japanese-earthquake-and-reactors-in-that-region/nuclear-energy-industry-actions-to-ensure-continued-safe-operations . I wouldn’t be surprised in Naval Reactors in DC was doing the same thing, although naval plants are built with battle damage assumptions to begin with. @DVD8XL- your points in response are well made and I accept them. Something else that might work better in the future is dealing with public fear. Fear does not respond to danger, but to threat. The response to danger is caution, which is a whole lot easyer to sleep on. The difference is information. It may be great yo get a post complimented all the time, but it does show the incompetence of proffessional organized public information. Does anyone realize how many people are going to die because this whole nuclear circus took the spotlight of the suffering of millions of victims of the quake and tsunami and by doing so reduced the deeply needed international support? Did anyone over the past week say: “The worst case scenario is twelve cases of meltdown which are still not gonna matter jack so drop it already, will ya!” There are more people gonna die of sensation than of radiation in this story, thats for sure. There is answers to this. Many thanks Red_Blue and Andy for your clarification as to radiation measurementation. Very informative. The writer, science editor for the paper Michael Hanlon, says that what’s occurred should be an endorsement of nuke power. Not saying I agree with all of it, but regardless I thought it was a very good piece of work. Yes it is part of an emergency plan, but it would only be used when they have exhausted every other means of cooling, as was the case at the Fukushima reactors. Injecting seawater into a reactor is the option of last resort since it would require very expensive repair or decommissioning of the reactor. Seawater is not something you want in any part of a steam plant and especially not in a reactor as part of normal operations. But in an emergency, as we have witnessed with Fukushima, seawater contamination is of little concern compared to the damage caused by overheating. Obviously reactors 1-3 and most likely 4 will be decommissioned for reasons far more serious than seawater in the core. posted 18 March 2011 at 1:50 PM by D.F. Sometimes explaining the sieverts, UO2 and the difference between dry well and wet well can be quite difficult even to an adult. But when you have to explain the situation to a worried child, how can you copy? Nuclear Boy and the big stink to the rescue! @Tom Keen – those with a willingness to learn and discuss need to be treated with respect, regardless of the preconceived notions they might have coming in. However I for one will not extend much to those that see this as an opportunity to harangue pronuclear supporters, and make broad accusations of being in the pay of the nuclear industry simply because we will not treat this event as Armageddon-in-progress. Also you will find that the pronuclear community is going to be pushing back from now on – more so than we have done in the past, and it is not going to be a case of refusing to engage with demagogic opponents, as was the norm before. Antinuclear forces are going to find themselves in a real debate this time. I hope you’re right. I hope future scenarios will be thought through all the way to controlled meltdown, but there’s a lot of ghosts to kill on the way. Here is something i experienced in that respect. Life may be a tricky business that kills you in the end anyway, but the more we come into regions that we can hardly imagine us into, the greater the risk we will oversee some grave danger. I have seen that in the use of pesticides. Fact is: radiation can kill. So does drinking a gallon of aqua dest on an empty stomach, thats not the point, but you can’t do the tabacco industry thing on nuclear power. You have to be right. The “passively safe” reactors are designed such that convection will provide enough flow of water through the whole system that it will keep the fuel from melting. So the energy to move the coolant (water) comes from the heat of the core itself. Coolant near the core will get hot and become less dense and move up where it will go through some pipes to a heat exchanger. where it will cool down and thus become denser and sink at which point it will be guided by pipes back to the core but physically lower than where it exited. Ropeik also includes a list of “risks that aren’t really very risky.” Guess what the first one on his list is. Nuclear radiation – “a weaker carcinogen than most people think.” He offers the starkest example anyone could imagine – that of the 90,000 survivors of the Hiroshima and Nagasaki bombs. Even in this unique act of war, only 500 additional cancer cases were caused among the 90,000 survivors by that intentional radiation. I would add an additional example: Three Mile Island. We just passed the 25th anniversary of Three Mile Island. Many people do not know that TMI was a non-event from a radiation standpoint. The maximum exposure to the nearest member of the public was about a third of the NRC’s annual limit for the public. The maximum exposure to nuclear workers was less than the NRC’s current annual limit for occupational exposure. The damage was emotional. And that can be cured with realism. So, please join me in taking action to “tell the story” – to reach a wider audience and give the public and our policymakers a sense of realism. I fear that the only things some of our policy makers know about nuclear science and technology and low-level radiation are what they learn from anti-nuclear groups. Anti-nuclear groups are well organized at the grass roots level. They get their members to call on policy makers and tell their stories. On the other hand, we are engineers and scientists. We are that shy, nerdy bunch who “won’t discuss religion, politics or nuclear power.” That’s got to change. We must put a face on nuclear science and technology by getting engaged in telling the story. You folks are the intellectual elite of our profession and I ask each of you to be a personal advocate for nuclear science and technology through a grass roots outreach to policy makers, the public, the media and educators in all nations. You have special skills as engineers and scientists. Some of the special perspectives that are part of your education and your profession are needed in the process of making public policy. Most legislators are lawyers. We are engineers and scientists. We are taught to begin with the facts, do the analysis and then reach a conclusion. If you are a lawyer, you are taught to begin with the conclusion of your client and then spend your time trying to develop facts and analysis to support that conclusion. Wouldn’t it be refreshing for our policy makers to act in a more scientific manner? If you live in a democracy, you have an obligation to offer your expertise to policy makers and discuss legislative issues so decisions are made on the basis of facts. As a member of a technical society, you have an obligation to correct misstatements by the media meant to promote hysteria rather than understanding. Foulke, Larry R. “The Need for Realism” Welcome to ITN. Web. 17 Mar. 2011. . The presence of a jumpseat in a jet fighter indicates the willingness to consider total failure as an option with a future. I’m under the impression the plants or this one at least don’t have a jumpseat. Is that incorrect? Unrelated: One thing that bugs me: Given all the heat swirling around in these reactor buildings, once indeed they start to really get big amounts of water on them isn’t there a good possibility of there being a steam explosion here or there to worry about Maybe, say, even blowing apart #4 pool if indeed it’s dry? More explosions don’t strike me as good in terms of blowing more radioactive particles up in the air, damaging other stuff and etc. Regarding radiation measurement, this is from Kirk Smith at Berkeley. The panic machine is in full swing in the US. Kirk points out that his house is higher than his campus and he can measure the difference in radiation at the two sites. That difference will be bigger than the also measureable difference the plume will make to US background radiation levels. There are no ejection seats in civilian aircraft (with the exception of so called “jet warbirds” of old decomissioned fighter jets) and the only civilian pilots who habitually wear safety parachutes are test, aerobatics, race and glider pilots. The equivalent system in a reactor is the corium retention pool (also called “core catcher”) which will handle a total meltdown of a core, penetrating the reactor pressure vessel bottom and dropping to the primary containment floor. It is designed to maintain primary containment integrity even in the worst case scenario where earlier designs (like the Mark I here) would rupture, possibly even violently. It’s a feature of more advanced designs. I am not a nuclear scientist, but i tried to get Reuters, who at that point had some 25,000 audience for their live feed, to see the damage that their publication policy was doing and they stonewalled me. I can imagine someone with some more scientific mass might have had better results. I’ve followed this site since the event began. Lots of excellent information, but the constant belittlement of public, individual and media fear or ignorance reflects precisely the quote above. When harnessing natures basic elements, haughty confidence, is a poor substitute for respect. I like that story. Puts things in perspective and is a good argument for rational thinking instead of fearmongering and roupthink. NHK-TV reports that the level of the spent fuel pool in Unit 1 is falling. Workers will be powering a distribution panel in an administrative building outside reactors 1 & 2. I believe they said the reading was 20 millisieverts/hour at the distribution panel, but I have learned to be cautious of the translators when it comes to numbers and units. I like that story. Puts things in perspective and is a good argument for rational thinking instead of fearmongering and groupthink. @Konst: Which one? Foulke’s or Cravens’? Rational thinking regarding this ordeal is badly needed. Yes, American, I watched that ABC Lateline interview with the Imperial College prof live, and he was excellent. Definitely worth a watch. Would you agree a slightly better preparation for this option could have made all the difference. Or put differently; if some company were to start producing high-impact-resistant-stand-alone-semi-automatic-pool-flooding-equipment-for-mark-I, would you buy shares? @Alberto, Cravens story. I think it will resonate with many people here in the US, especially religious people, who have a fear of nuclear power cause of media fear-mongering. That is an excellent Q&A with Kirk Smith @ Cal (my alma mater). The problem is the fear issue when it comes to radiation/contamination from nuclear reactors. One click of a Giger couner and people think the sky is falling, but they don’t give a second thought to eating brazil nuts (1,000-7,000 pCi/gm Ra-226). My wife and I have had zero qualms when it came to her getting multiple x-rays, a HIDA scan and a full torso/abdomen/pelvis CT scan. What was I worried about: the risk of MRSA in the hospital. Dr. Barry, can you give us the Key points about the interview? The truth is simple. No widespread damage and death. But there are most certainly people who will die or more likely have already died thanks to this disaster. Sure there are people who are working there who might contract cancer and even potentially die from it. The odds of it happening are NOT zero. But I am not talking about that. I am talking about all the people who are in dire straights from the earthquake and tsunami who are not getting helped, or did not get dug out of the wreckage of their homes in time. Since everyone seems to be busy screaming their heads off about nuclear disasters there are that many people less to worry about helping the tsunami victims. Granted the reactors NEED attention, but not this much. The true death toll of this accident will never be known. Because everyone will be listing them as part of the tsunami statistic. After all, how can you know which corpses are in body bags because people didn’t help them in time due to distraction and paranoia and fear of nuclear meltdowns. I get the impression that people on the net think these Mark I nuclear reactors are somehow state of the art and are still being sold and bought. They’re 40 year old designs and not sold anymore (or am I wrong?). Convincing is no ‘ology, it’s an ‘ism. It will never be science that convinces people, but the belief in science and the courage to stand for it. An explanation is not the expression of new knowledge, but a sequence of agreement in understanding. Not too long ago i was involved in the exact opposite thing. The creation of awe over a true historical disaster, the living memory of which is needed to keep it from happening again. That’s just as hard. In this talk about radiation, what is missing is the actual toxic material being released. Take alpha radiation which is emitted by Plutonium 239. Now we know that paper will stop alpha radiation, so it appears that Pu 239 is safe, but hold on a second here what happens when you breathe in Pu 239 particulates????? Yes, I freely admit I’m opposed to nuclear energy. The Fukushima disaster has only confirmed my viewpoint. The accident at Fukushima was not supposed to happen. The Reactor 3 Vessel Containment Pressure has moved from “Stable” to “Fluctuating” in the latest JAIF report. There’s quite a few of them still around. The seven plants the Germans are shutting down are also a bit methusalic. No I would not! I think all Mark1 plants should be phased out as soon as possible and replaced by new models. The problem for nuclear power has been that its natural evolution has been curtailed by anti-nuclear protesters. And the natural background is about 0.3 uSv/hr. So we see excess radioactivity in nearby prefects. BUT the levels are very low. The data shows a 1.7%/hr decrease also. The Japan Ministry of Education is putting out a great deal of monitoring data. They are doing a good job under what must be difficult circumstances. @Konst: Agreed. Sometimes people need a nudge in the right direction. That parable can really get home the point that our children need nuclear power in the future. Optimaly, yes sure, even the protesters will agree with you on that, but considering the odds? Besides, protesters are part of any evolution. The trick is not to get rid of them, but to deal with them and thats not the same thing. Thanks for your kind explanation. So, “passively safe” reactors are convection recirculated. However, to keep it passively functional (no power scenario) it is going to require a passive heat exchanger(as a shunt to normal pwer generation pathway), which can only be a massive radiator, .. which will intoduce its own risks, e.g. huge surface area to manage and protect against leaks. We can only push the design boundaries but not make them disappear. Anyway good work, hopefully things will be under control soon and world will move on to help thousands who are hungry and homeless. Good or bad is relative, nuclear energy isn’t either good or bad. The use of it may be bad, but that depends on the way it is used. A nuke you never drop is less bad than a power plant you fumble. @bchtd1parrot: Good point. Except a nuke never dropped doesn’t generate any kind of benefit neither to society. A power plant has a far better benefit ratio. There is safe ways of doing that. You swap it around so as to transport the heat instead of the substance that carries it. Sort of a mix between a radio wave filter circuit and an old style central heating. You know what we need? Far more ‘Did You Know Vids’ extolling the virtues of nuclear energy. Data that people don’t know. Challenge misconceptions. There’s so much stuff I didn’t know before this ordeal that I feel people should know. Internet video should help. Alberto, we are humans. Any cop carries an item that is designed to damage and even kill people, but as a part of his authority it benefits his task, even if he never uses it. And i wasn’t comparing to a power plant, i was talking about a fumbled power plant. Even if it does not cause any actual fysical harm itself, the hysteria around it does. It did here, simply by drawing attention. Let’s not forget the Apollo 1 disaster. It would not surprise me if as a result of this disaster, future NPPs will have access to gravity fed cooling from fresh water reservoirs. The information must be clear to the one you want to give it to. gallopingcamel, there should definitely be gravity-feed top-up reservoirs, but I think convectively-driven cooling circuits are a better option. Of course, using alternate reactor designs that don’t require circulation of a cooling fluid in the event of an emergency shutdown would be even better, and I understand the molten salt thorium designs do just that. But, yes, engineering review of possible failure modes will be getting a little more focus. Overall very interesting stuff on this site. Perhaps this crisis will be what Homer S called a “crisortunity” for nuclear energy proponents – interest among the general populace in getting facts about nuclear energy and radiation may never be greater than right now, so its a great chance for education – IF its handled well…(e.g. with humility, not condescending rants). Barry, I am American with my family living in the southern suburbs of Tokyo, I really appreciate the logical disection and organizaiton of the FACTS. News media local and international are working to keep people glued to the TV. After all they are in the ratings business and not the science business. Watching NHK-TV: They spray some water on spent fuel pool in reactor 3. Cloud of steam comes up. Spray some water. Steam. Water. Steam. But then steam stops. So either they’re dropping the water on something that is hot but which is not the pool, or the pool is empty. Right? It is not that simple. You can’t get used to something you can’t see, but can get very definite and extend in time beyond imagination. The control of that will always be a ‘priest’ kind of thing. You don’t want to find yourself staring down the metaforical black badge. There will always be fear to comfort and the [ad hom deleted] It will not kill NPP, but expecting it to flourish by it may be somewhat optimistic. Don’t forget, this incident kills people right now. Not by radiation, but by lack of attention and that is a bill no Comet ever had to pay. So I ask, for the Gen 4 / future plants and for convection / passive cooling that are being slated as essentially risk-free can it be stated / agreed that…. I think he meant that background radiation levels were higher in the past and that DNA repair mechanisms evolved to repair damage of a higher radiation level. I think there are some studies that people in higher background radiation levels have a lower incidence of cancer compared to people living in a lower radiation level. At least that’s what I heard. Don’t know which research it is. Google “hormesis” or, more specifically, “radiation hormesis”. Thats the one i was looking for, thanks. I’m surprised at the optimism here surrounding the medium-term future of nuclear power. I’m in Australia, and I think this has postponed the nuclear debate here at least 10 years, but more likely 20. If you think this has been a positive because it is educating people you are deluding yourself. I my case, for example, I know a lot more about nuclear power, radiation risks and power station design than I did a week ago, and yet now I’m a LOT less likely to support nuclear power. I’m becoming more convinced that it is not only unsafe, but cannot be made safe. The way I’m seeing it is that it is only desperate measures that are stopping a full scale disaster. Bravery, firehoses and helicopters in a set of circumstances that were all-to-predictable isn’t good engineering, nor is there anything I see that makes me think things would be different in other cases. Is that seawater that they’re vaporising on those radioactive fuel rods? On one hand,,the clever wag might conclude that they are one and the same system..whilst the devious might interject that whilst the probability might be lower with gen 4 this is based on theory whilst the probability with BWR is real world (40 year) tested and a number of unexpected new failure modes considered..and the equivalent missing failure modes yet to be found with the Gen 4.. The design engineering oriented might state that the probability is the same because they are designed for the same requirement (assuming that govenrments have not tightened that up), being designed for the same result and the only impact of new designs, processes, materials and technology is to affect the cost per MW for doing the same thing over its lifetime. Someone asked if these old designs are still being built. Wow I’m glad there actually still are some people with common sense. Hard to come by these days. At my work place it is ridiculous how little people actually know and the sad thing is they are not of the really dumb kind but of the idealist type. They just block or change the subject as soon as the see they don’t have any counter arguments. I live in Europe and we were close to a nuclear Renaissance which now is impossible forever. There will soon be elections and it’s obvious what the politicians will do before them to please the general public. The alternate plans are well known, fossil fuel based power (natural gas) and my country will for the first time in like 40 years release CO2 for power production. It’s just very sad and the people that are responsible for this are the so called “Greens”. Disregard this question if it has been posed already, too many comments. Could the decay heat be used to power Stirling Engines for backup power, in case there are problems with the Diesels . Heat engines don’t even need oxygen to operate, a definite plus in a potentially hydrogen rich environment me thinks. Controling nuclear power is a piece of cake. Any molecule can do it. There is more truth in that than it seems at first glance. So long people. A relevant, level-headed article from a person with a neutral position on nuclear. This is a couple of days old, but just saw it now. Barry, how much funding do you and your department get from the nuclear power industry? Or put differently; if some company were to start producing high-impact-resistant-stand-alone-semi-automatic-pool-flooding-equipment-for-mark-I, would you buy shares? No I wouldn’t, because that would be an anomaly of poor decision making on the part of the regulators in a a country where such devices would be authorized. The “Mark I” containment issues are too serious and too many to be “patched” by any conceivable single retrofit system within any reasonable cost/benefit scenario. I believe the necessary solution is to replace all of these plants ASAP with more robust designs. Also I think there is a need to review the whole doctrine of “design basis accidents” and possibly extend the spectrum of emergency preparedness to scenarios where interfacing with out of plant support resources is necessary. Also the storage of so much spent fuel so close to running reactors will probably have to be reviewed as well. There are certainly going to be many important lessons to be learned from Fukushima, but I don’t see any panaceas that could be identified (such as so simple things as locating some of the site emergency generators on slightly more remote but to elevated and hardened bunkers with backup cabling that could be quickly laid over ground after failure of primary cabling). Another fairly level-headed, neutral article too, in my opinion. Like you I have learnt alot in the last week. You maybe right that debate over nuclear use for power generation has been put back 10+ years. But as I see it the problems in Japan arose from oversight of a relatively simple situation from an engineering point of view–if the back up generators were positioned in a better place we would not communicating on this blog today. The plant survived an extraordinary large earthquake ( even by Japaness standards) and there was not a technological issue. ( successfully I hope) then someone in the media will step back and present fair baland view on what happened and what can be learnt from it. One disadvantage of any new reactor technology is that safety risks may be greater initially as reactor operators have little experience with the new design. Nuclear engineer David Lochbaum has explained that almost all serious nuclear accidents have occurred with what was at the time the most recent technology. He argues that “the problem with new reactors and accidents is twofold: scenarios arise that are impossible to plan for in simulations; and humans make mistakes”. As one director of a U.S. research laboratory put it, “fabrication, construction, operation, and maintenance of new reactors will face a steep learning curve: advanced technologies will have a heightened risk of accidents and mistakes. The technology may be proven, but people are not”. There are many who would argue that the existence of thousands of nukes that were never dropped served to prevent a WWIII and the megadeaths that would entail. I’m not completely convinced, but the argument has merit. unclepete: I understand some reactors do, indeed, use the decay heat to power emergency cooling systems. Whether they use Stirling engines or something else, I don’t know. Mr Sum: I’m in Australia too. If you’ve learned a lot in the last week, you’ve learned a lot about light-water reactors running on a mix of U235/U238. They breed plutonium and other heavy isotopes, which cause a lot of problems. There are alternative designs which “burn up” any such heavy isotopes, or which use different fuels (Th232/U233). I don’t know a huge amount about Thorium cycle reactors, but they look pretty promising! Some thing that has struck me is the focus on gen 4 for bigger faster stronger harder approaches that inevitably put higher demands on containment and safety technology (ie driving the fuel and surrounding proceeses into more and more volatile situations for efficiency reasons) . Now I don’t profess to be a nuclear expert but this all makes sense for an operator seeking to maximise profits but less so for a community seeking safer inherently more stable modules, possibly wherein there are a much higher density of smaller more stable and palatable reactors that benefit from economies of scale, with plug and play type modularity, that can be transported back home for refueling and maintenance. Seems to me having a mini-gen on my corner with simple stable technology would be much more likely to get support from the public over time than the current direction. So they designed the hell out of Fukushima and it did stand up to a 7 times more powerful seismic event than the design spec called for. Then the beyond-design-basis tsunami showed up. Which may explain why attention was not focused on the threat from the pools from the beginning. The plan seemed to be to make sure the reactors were under control. The voices, like Ted’s, saying a Chernobyl type radiation release is not conceivable from a reactor core in a containment might not have been correct, but if they are, the plan should have been primarily to make sure the pools had no possibility of getting to this and secondarily to keep the reactors from melting down. Maybe that was the plan and things just evolved until things got this far. Time will tell. The literature I consulted and the senior people I contacted were calm in the face of the widespread fear of a reactor core meltdown escaping containment. I felt reassured. But this steaming pool thing after tsunami inundation of the site is a new thing for me to think about. Well let’s hope so. I like the situation way better than if this worst event had already happened. Some of this report is classified. It was classified because it was primarily done to assess the possibility of terrorists causing this problem and they didn’t see the need to tell the terrorists everything they knew. Some. So that’s a few tens of thousands of square kilometers less land that is lost, etc? Greater experience than I possess is necessary to interpret something like this, full access to all classified material, and a lot of thought. No wonder about the open dispute about evacuation distance between Japan and the US. Then why is it that the media seem to be placing all nuclear reactors in the same basket as the 40 yerar old technology that has had the accident? Remember that Barry works at a university in Australia. So, exactly which nuclear power industry are you referring to? It’s worth remembering here that because I-131 is quite short lived, it is not present in any significant quantity in used nuclear fuel that has been removed from a nuclear power reactor and stored for a few months. Any possible I-131 source term would need to come from the reactors, and not the used fuel which is the focus of most of the discussion at the moment. Interesting to see an article on ABC discussing Liquid Fluoride Thorium Reactors in favourable terms – essentially as a way to build nuclear reactors that don’t have the risks of the Gen 1 Boiling Water Reactors. A child’s fear of the monster under his or her bed is as you say best met with understanding and sympathy, but I don’t think it would be helpful to ‘legitmate’ the fear by acknowledging their perspective as being true. If the child is truly freaked out, one can say that there is no monster but perhaps do some solutions – e.g., we’ll swap beds so you can have one with no space underneath. If the child’s solution is to sleep with mommy and daddy until they are 18 though, that wont fly! Now I think the technique to use is to ask questions to people in discussing their fears: How much radiation does one receive in any given year in your area, other areas? How much radiation would I have received in standing at the fence of the Japanese plant? As Ted Rockwell said above which would you prefer, staying in your house and receiving the radition dose equilivant of a ski trip or evaculating for a week to a disaster relef shelter? I think it will be important to counter the present and ongoing campagin against nuclear power in the coming days, weeks and months. I believe that lessons can be learned in the recent athiest revival movement (God Delusion, God is Not Great, etc. etc.) in the way some prominent athiests are being forceful but polite in discussing and debating religion (e.g., http://www.youtube.com/watch?v=-ASBBIVFb8c, http://www.youtube.com/watch?v=6mmskXXetcg). Benjamin, A.S. ; McCloskey, D.J. ; Powers, D.A. ; Dupree, S.A.
Abstract: An analysis of spent fuel heatup following a hypothetical accident involving drainage of the storage pool is presented. Computations based upon a new computer code called SFUEL have been performed to assess the effect of decay time, fuel element design, storage rack design, packing density, room ventilation, drainage level, and other variables on the heatup characteristics of the spent fuel and to predict the conditions under which clad failure will occur. Possible storage pool design modifications and/or onsite emergency action have also been considered. >>Importantly, reading the documents introduction >>& conclusion section seems to indicate that >>there is a “decay time” of 5 to 150 days after the >>BWR fuel assemblies are put in the spent fuel >>pond, after which the fuel assemblies do not >>reach the critical 850-950C following a complete >>water drain. I.e., spent fuel ponds are likely to be non catastrophic issue. The paper discusses fresh and spent fuels of various ages and graphs the effects as well. As far as I can see there is no issue of fire, etc. The problem is that the radition would be very very high at the pool until it is recovered with water. The other article I posted yesterday discusses what would happen in refilling a dry pool with water (i.e., the QUENCH 10 tests) and the other article I posted yesterday suggested nothing other than the fuel would become more brittle with a very small release of hydrogen. David, everyone, please read or re-read the art icles and pick out anything else, it’s a 140 pages, it was quite thorough and interesting. Yes it can. In fact I read that is what the operators at Chernobyl were trying to do but their experiment didn’t work that time and exploded. They were trying to solve the same problem where the electricity is cut off and trying to use the decay heat to run a generator. I’d have to say that my education has turned me from dubious to hopeful. I’ve been weakly anti-nuclear since I was a child, growing up watching the Chernobyl drama unfold before my terrified eyes. While I certainly won’t say there is no danger, and corporations can be trusted to do what’s safe (I know this to be inherently untrue), I will say that if there is a danger, everyone in the world will step in to assist. . . and the lessons learned by this industry are learned fast. If anything, this has turned me into a nuclear advocate – and probably the only one in my office. Coal certainly doesn’t work, and is killing us all slowly each day, but nobody steps in with the sense of urgency with which they attend a potential nuclear disaster. It’s no less ‘everyone’s problem’ than the polution from fossil fuels, or chemical waste, but it seems to be a responsibility we’ll more readily take up. Great stuff, and good on you for your honest appraisal and conclusion. I can’t agree more with your final paragraph – if only the world would channel this much energy (no pun intended!) into addressing the very real dangers of climate change. For folks who would like to know more or better understand low level dose rates, see the “banana dose equivalent.” http://wattsupwiththat.com/2011/02/16/going-bananas-over-radiation/ it will give you a better feeling for our naturally radioactive environment, and is post that was written shortly before the Fukushimi occurrence. Meanwhile, Fukushimi 1 has now claimed at least 25 victims. NOT from the radiation, but from the evacuation. Listening live to NHK (http://www.ustream.tv/channel/nhk-world-tv) they are now reporting that 25 people who were evacuated have died. We used to ALWAYS try to impress on the politicians (who ultimate decide where will or won’t get evacuated) that it is a very bad idea to evacuate areas unnecessarily because it will inevitably kill people. Typically that will be people from hospitals, nursing homes, special care facilities, etc. Or if calling for evacuation triggers panic, there will be car wrecks and deaths that way. Politicians almost always are inclined to call for evacuations far beyond what is really reasonable for the situation, but it is a very bad decision with lethal consequences even if based on the best of intentions. For folks interested in radiation hormesis – e.g, health BENEFITS of low level radiation exposures – here are a couple of links. …..The $250-million study, jointly conducted by the National Cancer Institute and the American College of Radiology Imaging Network, involved more than 53,000 participants between the ages of 55 and 74 who had smoked a minimum of 30 “pack-years” (say, one pack a day for 30 years or two packs a day for 15 years). The study included ex-smokers who had quit within the previous 15 years and excluded all those who had had cancer in the previous five years, or who currently had any trace of cancer (except some skin cancers). In the study, called the National Lung Screening Trial, over the course of two years half of the participants received three standard chest X-rays and the other half received three low-dose CT scans to detect tumours. The participants were then followed for up to five years. The result? Those who received standard chest X-rays suffered 442 lung cancer deaths compared with 354 lung cancer deaths among those who received CT scans. This 20% difference is so robust — both in the number of lives that can potentially be saved in future and in the statistical likelihood that the results are valid — that the researchers stopped the study in order to publicize the results. Oh, and I almost forgot – last I knew you could still go and get your hormesis dose in “health spas” if you want to…. in, I think, either Wyoming or Montana – these are “spas” where you go into underground tunnels and stay there for awhile, specifically for the increased radiation dose you receive naturally from the increased levels of radon. There are similar ‘health spas’ in other nations too. I don’t know if this is still the case, but it used to be that you’d get a far higher dose there than would be allowed for mine workers or other occupational doses for people working in underground tunnels. Ah, well, what an amazing world we live in. ….. you mention the “Generation IV” pebble bed and thorium reactors. While those are intriguing I grant you, both are still quite theoretical in nature and under the best circumstances it will likely be many years before they are anywhere close to being available for commercial use. In the meantime, there are actual proven, in commercial use Generation III and III+ designed advanced reactors are already proven and in use or well along the path and nearing design license approval. These are literally ready to go, an order of magnitude or more safer than today’s Generation II reactors (of which Japan’s Fukushimi 1’s are one of the first – even later Gen II reactors are far safer than the Fukushimi I reactors in such trouble today, and look at what they’ve just endured!!). If you would, take a look at this article – http://www.world-nuclear.org/info/inf08.html. It does a good job of covering relevant issues including a safety comparison with Gen II reactors. These plants are far safer (and the Gen II’s already have an incredible safety record compared to virtually any other industry out there, far surpassing coal, oil, etc. You are LITERALLY safer working in one than you are at your own home), cheaper and far faster to build, more efficient, most with planned/designed lifespans of 60 years (todays Gen II’s are typically 40 years, and most are being found to be entirely safe to continue for another 10 or 20 on top of the planned life, after painstaking inspection to ensure safety). You may also want to take a look at: http://www.world-nuclear.org/info/inf32.html It’s got good basic diagrams of each of the various reactor design types, along with other useful information. Soooooo…. we’ve more than enough uranium at plenty cheap cost to run far more nuke plants than we do for a few hundred years as it is, especially if we use our high level waste, which also, by the way, reduces the waste to about 1/100th of the volume…. and just how much volume high level waste do we have today after 50+ years of commercial nuclear power? In TOTAL, all the spent fuel rods generated by all nuclear power stations to date could fit into the area of roughly 1 football field to a depth of 3 ft. That’s the volume as it is currently, BEFORE the massive reduction that would occur if we were to reprocess and use this resource. I just saw Prof Barry Brook on ABC – One plus One program. There is plenty of history in this website, for new readers to explore. It’s been almost 3 years in the making! According to the latest JAIF report hydrogen levels in unit 4 are rising. Der Spiegel writes this will significantly raise the danger for the firemen and workers working nearby. Has there been any attempts to take usage of (i.e.) ‘PSV’ = platform service vessel, and the normally vast capacities of firefighting these vessels, 2 – 4 (or more) units w capacity of 1500 m3/hr and have these ‘drenge’ the reactor units from the sea-side from ‘safe’ distance..? It seems real people were killed because of an over-abudence of caution. An update here: http://www.jaif.or.jp/english/news_images/pdf/ENGNEWS01_1300433768P.pdf indicates 646.2μSv/h, 646 micro sieverts per hour which is 3 xrays per hour if you were standing at the fence to the plant. Further out it’s negligible at this point in time, as posted above, same as a ski / plane trip. This is an important lession that must be shared, that for elderly people in below freezing temperatues it maybe best not to evacuate unless the risks of radition > the cons of leaving. Ah, the classic equating of nuclear weapons with nuclear power. How about nitoglycerine pills and dynamite, or gasoline and napalm? You can drink water and live, drink too much water and die, swim in it or drown. for example..simple question… do all the reactors listed survive a 9 earthquake and a 10m tsunami washing over them (or should I state 9.6 and a 15m tsunami..you see it all goes back to the acutal design requirements..
more broadly – have the safety targets increased substantially in 50 years ? Prof Brook, I had posted this in my blog after reading your 17th update, before I read Ted Rockwell’s excellent article. I was so happy to read that..
Could you kindly amplify on some of his comments about radiation yes but danger no – given media scare-mongering for instance we read about passengers arriving from Tokyo to Taipei reporting higher counts on radiation meters…are we making or calibrating measuring instruments that are too sensitive out of paranoia? I see that all the readings sourced from MEXT are roughly 10x higher than all the other readings. I have not seen this factoid mentioned yet. Anyone care to comment on this? I ask this partially because last night the major TV media I briefly watched were apoplectic over supposedly very high radiation readings at the 30km boundary. Presumably this was the source of their data? Keep up the good work here- this is the best source of info I’ve found yet. Here is the JAIF report on the sequence of events and notifications that took place after the earthquake. Latest JAIF reactor status report. Only difference from last is that they list fuel exposed for reactors 1-3 instead of around half of the fuel. Don’t know if that means fully exposed, partially or they don’t know due to instrument problems or just reporting inconsistancies. Imformation on the spent fuel pools adds nothing to what we already know. They do have a chart at the bottom of the sequence of events. Hadn’t noticed that on previous reports. I think it kind of rediculous that Japan’s government has just raised the scale of the nuclear accident to level 5. i.e. the same as TMI. It was obvious the by Sunday that this was worse that TMI. Maybe no greater health effects, but 3 reactors in crisis with no power, that is bad, definitely in the relative sense. This is level 6 and had the potential to go to 7. That possibility is decreasing, but can’t be totally discounted. Impact on People and Environment: Significant release of radioactive material likely to require implementation of planned countermeasures. Example: Kyshtym disaster at Mayak, Soviet Union, 29 September 1957. A failed cooling system at a military nuclear waste reprocessing facility caused a steam explosion that released 70–80 tons of highly radioactive material into the environment. Impact on local population is not fully known. So far, nothing like 70 tonnes of radioactive material have been released into the environment. The IAEA still rates this as an INES 5 and I’m not going to dispute that rating, unless the situation deteriorates further. In my opinion Fukushima would be correctly rated at INES 5, as things stand on knowledge right now, but TMI is rated one step too high and should be INES 4. Here is a more detailed account of what happened after diesel power was lost. How they coped on battery power. Fair enough, but I think we can all agree it went to level 5 a few days ago, and was already beyond TMI on day 2. Maybe TMI should only have been 4, and actually I had initially thought that was what it was. That’s why I reasurred a friend’s daughter who was living 60km from the plant after she directed me to this site. Two days ago after all the uncertainty about the SFP, I made sure that she had left. Her parents had already persuaded her. She should be on her way back to Canada right now. I could not in good conscience consul her to stay. Just the pschcological impact of living in a nuclear disaster zone would have health impacts, especially after suffering through the earthquake, the aftershocks, observing the tsunami destruction and then havening nuclear power plants in crisis with no clear idea if they are going to get control of the situation. Yes, she shouldn’t have been frightened by the earthquake and aftershocks knowing Japan’s excellent building codes, the Tsunami happened to other people, and even a Chernobyl disaster would not kill that many people. People don’t work that way. A jumbo jet crashing each day is going to scare people more than the even greater number of deaths from car accidents. I think the potential political implications of distilling a complex event down to a single number has to be considered. For example, most engineering types believe TMI was not a major event and I believe the consensus of the scientific studies suggest there was none or no significant human impact, at the time or since. But I don’t think you could convince many local (to TMI) residents of that. I think there has always been a feeling there that they and their perceived problems were blown off. Wikipedia suggests that scale was invented in 1990, at a point in time where it could be considered prudent not to rock that particular boat, so to speak. With that way of thinking, it could be prudent to overestimate the rating rather than risk “under-rating” it, regardless of the engineering or scientific facts. I am trying hard here not to suggest in any way that I am engaging in or want to engage in a political debate and the above is very hypothetical. I am simply trying to suggest that politics is one possible answer to the seeming disconnect of the various ratings. I lived about 50 miles from TMI at the time of the incident, as I have all my life. I was close enough to get a unique feel for the politics of that situation (and today might have been evacuated if it occurred now ???). My thinking here is at least partly based on anecdotal conversations I’ve had from time to time with those that lived much closer. I think it’s still a very sensitive subject in that locale. Yes I remember TMI very well and though I can’t remember my first thoughts when there was a lot of confussion about what was actually happening I did read a lot of reports after the fact. Beside pschological effects the main effects were economic. Discounting the moratorium on plant building, it was very costly to clean up. This is going to be much more so with this current ‘event’, unless they just bury it like they did at Chernobyl. That is not going to happen here. Some of my concern about nuclear power are the costs involved. Normal maintanence costs seem always to be higher than projected. Upgrades to new standards are usually prohibitive, and then there is the occational accident that is expensive to clean up. If nuclear power starts spreading to third world countries to meet their energy needs, we are going to have more of these accidents. But is it doesn’t spread, then it will not make much of a dent in carbon dioxide release. As it is nuclear power even if expanded rapidly will not make that much of a difference. It is around 5% of world energy supply (2007). Not saying I’m opposed to its use, just a very minor part of the solution. Conservation and energy efficency are the most cost effective measures with some curtailment of lifestyle through higher energy prices. i.e. peak oil and carbon taxes. That is why I am not a big advocate for or against nuclear power. I do not see it as that important to the global climate debate. Of course many things will have to be done to face that problem as there is no one panacia. I open. It is a resource allocation problem, along with technical innovation and political will. Ted sent that paper to me then I sent it to Barry. My confidence had been shaken after I read the NYTimes report on the old controversy about the Mark 1 containment, which got worse after I read the Bulletin of Atomic Scientists article the NYTimes article was partially based on. I had studied the 2002 Science paper Ted refers to above and taken it as definitive. This new to me material brought into question, in my mind, the idea that it was not credible to believe that a meltdown in a contained reactor could cause a problem anything like the size of Chernobyl. I felt I needed to hear the most expert assessment in light of ongoing events. I knew Ted had been Rickover’s right hand man when Eisenhower made the decision to unclassify enough nuclear technology to make commercial generation of electricity a reality. Rickover was appointed Director of Atoms for Peace. Dr. Ted Rockwell was Technical Director of the program that produced the first commercial nuclear reactor at Shippingport. Rickover and Rockwell’s program never produced a reactor that blew out. The record remains impeccable. Rickover and Rockwell proved they understood how imperfect humans could approach something this powerful responsibly. Anyway, I contacted Ted seeking aid. I told him I had studied him and that 2002 paper he coauthored and been greatly impressed. I told him I was disturbed about wild speculation and the Bulletin of Atomic Scientists article in the light of events. I said if he had something to say now I would love to hear it. He wrote a few things and sent the paper in progress Barry has posted up there and gave permission to post it anywhere. He said this even though he was still receiving helpful suggestions for edits and incorporating them. He started out saying this: “things are still changing over there, and I think the time is better spent listening than talking for the next few days or weeks”, but he wrote a few things and sent the paper anyway. I figure the cost issues of building these plants and cleaning them up when needed is best left to the accountants and their insurance actuaries. It’s really a business decision, unless society gets to the point where nuclear power would be encouraged to fight AGW or for other reasons. But we are at the opposite end of the spectrum now, so a moot point. Now, if every (or even one???) accident resulted in the forced evacuation of 150 square miles (even if that happens to be NYC or LA) then it’s society’s problem and shouldn’t rest in the hands of the accountants. Just my way of looking at things. I disagree with the ideas around the 5%. It could be 20% or more (I don’t know the exact number) and that surely would have an effect on AGW, if there is a viable solution at all. There are all sorts of proliferation issues when you start thinking about third world countries that we probably shouldn’t delve into here but there I agree. I am not pro or anti-nuclear. I just don’t see viable non-carbon alternatives to even replace the nuclear power we have right now, much less the carbon based power plants. My recollection of TMI (and I’m serious here) is that no one understood the practical ramifications of a real world accident, there never having been one previously. And two weeks before the accident, in one of the most bizarre coincidences of my lifetime, Hollywood provided the script (literally and figuratively) in the form the China Syndrome movie. Our education came strictly from Hollywood- never a good thing! If someone had told us that 50% of that core would melt tomorrow, there would have been no one left within a 250 mile radius. Of course, it had already melted by the time we even knew what was going on but best we didn’t know until years later. I always felt TMI was a model for how a nuclear accident could be handled without Armageddon (and hence acceptable to society), and “proved the concept”, but the press never felt that way. Chernobyl was not very helpful either. I must say that a full report on this accident is going to be very interesting reading. The Good, the Bad and the Ugly. Yes, I was pleasently supprised at how well TMI did with such a large melt of the reactor fuel. “Defense in Depth” worked very well there. But there all the control systems and power were fully operationally. Some bad gauge readings and poor operator response exposed the core for a few hours. Here it has been for days and they are injecting seawater into the core which I’m sure has not been modelled. So I found the initial confidence on this site a little off-putting. There were already a lot of known unknowns, not to mention the then unknown unknown of the SFP. The SFP has no “Defense in Depth”. It has one. Keeping water in the pool. That may turn out to be the biggest problem. I had never considered that would be a problem, though others have. OK, this is something that I hadn’t read before and assumed wasn’t so, but the diesel generators at Fukushima-II (Daini) NPS were shut down by the tsunami. The presence of outside power enabled them to continue operation. I missed this earlier as I had stopped reading the report. William, you might be as surprised as I was that the Fukushima Daini plant was also declared a “3” ? What happened there that rated a 3? We certainly live in an interesting media culture. Sorry, but in what kind of importance is/are the various ‘ratings of severity’: 1,2,3,4,5,6,7… in this present stage of the catastrophe? Pls. let the evaluation/fixing of the severity rest until everything is documented/known. Scaremongering is NOT productive! Period. Part may be what I just listed above that the diesel backup generators were put out of action. I have also read that the sea pumps were also effected, but since they had outside power they were able to continue cooling the reactors until they restored function. This is a reportable event, the seriousness is relative. That may be why they ordered the initial evacuation until they got total control of the situation. Is the evacuation order still in effect? They use to list it on JAIF reactor reports, but have stopped doing so. “It’s not clear how the rods became exposed to air in the first place. Scientists say the cooling water may have sloshed out of the pool during the earthquake, boiled away because of built-up heat or leaked from a crack in the pool. Nuclear plant experts interviewed by The Times on Thursday said it was unlikely that the quake could have caused a significant amount of water in the 45-foot-deep pool to slosh out and drain away, exposing the 15-foot rods. They also doubted that heat from the fuel rods could boil away that much water in just a few days, especially because steam was not seen coming from the reactor building. Instead, U.S. officials believe that the pool’s wall was cracked either by the intense shaking of the earthquake or by a large piece of equipment falling into it. Employees of a consortium of General Electric and Hitachi were in the reactor building at the time of the quake, according to company and government sources. The GE employees have returned home, though some Hitachi employees are continuing to offer assistance to Tokyo Electric. As a lay person, my greatest fear is a breach in a core containment system, i.e. the structure designed to contain a meltdown. This NEI release sounds encouraging to me, but I’d appreciate someone with expertise commenting on its significance. Containment integrity is believed to be intact on reactors 1, 2 and 3, and containment building pressures are elevated but are within design limits. No intent to scaremonger here. I was just musing about what is now ancient history and what the media apparently chose to report and ignore. Maybe I should have mentioned that the IAEA page I linked clearly indicates all the reactors at the Daini plant are currently in cold shutdown status and therefore not a current event. I also got an education on SFP, something I never paid attention to previously. “I’’m amazed that with all the defense in depth put into these reactors, at the cost of vast millions of dollars, that apparently no external facility to refill the SFPs was put in place. You would think a simple backup pipe would have been rigged up, from the top of the pool down to the ground and then back a good safe distance. I’m sure many lessons will be learned from this event, especially towards SPF safety. They are probably quite limited in what they can do with the old plants. My understanding is that later plants positioned the SPF pool inside the primary containment and if so maybe some lessons were learned years ago. Thank you very much for a very clear explanation of the statement and its wider context. your comments on LNT and its use and abuse seem very sensible to this non-expert…. Research on low level radiation sounds much like research on climate change — determining a physical basis, looking at various indicators, deciding whether it’s possible to determine a trend or an effect. Don’t say “impossible” or “certain” — that’s not science; science deals in probabilities. Explaining this is the hardest thing about educating people on any scientific question. How can a few parts per million of carbon dioxide affect climate, eh? Health effects of varying natural background levels? “There is a wide range of background radiation (about a factor of 10 from the highest to the lowest) in different regions of the United States. In some regions of the world the background radiation is more than a thousand times higher than the average background level in the United States. Simple answer to your question ‘have safety targets increased substantially in 50 years’ is; absolutely yes. Gen III plants are an order of magnitude less likely to have any significant failure than existing Gen II plants which have, over 50+ years, shown about the best safety record for any major industry and any electrical power generation method. Can they withstand a 9.0 earthquake and tsunami such as just occurred in Japan? First, I would note that a tsunami wouldn’t be an issue for the majority of plants built – you can only get a tsunami if you are on or very close to the ocean. Next, they are designed not based on the Richter or M scale (which is used now instead of Richter), but for a set maximum horizontal ground acceleration, often expressed as g-force. That’s because the scales we always hear of tell you how much total energy was released by the earthquake. How much of that is actually translated to specific sites varies drastically based on how deep the earthquake occurred, the type of rock and ground between you and the earthquake, the type of bedrock or soil or ? that your facility is built on, and so on. What you actually feel, or the damage done from, say, a 5.0 earthquake that is for argument’s sake the exact same distance and depth from you can be radically different – at one location you may barely feel it and there will be zero damage. At another it may be quite noticeable and do some real damage. I’m not certain what the maximum design basis ground acceleration is for Gen III plants (and it probably varies some between the different designs also) – but I’d bet you anything it is far higher than for the Fukushima plants. This is where plant siting comes in. Prospective sites for power stations go thru extensive analysis. Typically, iirc, the probabilistic risk assessment for Gen II stations was that the risk had to be less than 1e6 – in other words, a chance of less than 1 in 1,000,000 of the situation occurring. It would be at least that if not even better for the Gen III’s. Note, the safety margins and risk assessments used for nuclear are WAY beyond what is typically used for other industries or activities. Anyhow, if a prospective site has a risk greater than that of an earthquake with a larger ground acceleration than it’s design, you don’t build the reactor there, you find a better site. Keep in mind that the Japan earthquake was the 4th or 5th largest EVER recorded – and that’s when it’s estimated that every single year there are more than 1,400,000 earthquakes. http://earthquake.usgs.gov/earthquakes/eqarchives/year/eqstats.php Soooo, if you’re going to put a reactor somewhere far far inland where there’s never been a quake recorded that’s larger than, say, a 5 and that only once, and all our science says that its almost impossible to get one larger than that, is it reasonable to require that major industries be able to withstand a 9.0 earthquake followed by a 30 foot high tsunami? Because it’s new, and new technology is going to be around longer than what it’s replacing, and if the new tech was ‘grandfathered’ to be as polluting and wasteful as the old tech, many of the benefits of doing something new, in a different and better way, would be lost to the beancounters who’d rather do it quick, cheap, and dirty. And before someone froths over about that’s un-American — it’s very European; Japan, dunno. PS, as to adopting new tech: one example is geothermal heat. It’s being looked at, as a new technology, with appropriate skepticism, even though it shares a lot of its methods with oil and gas drilling. It’s well known that oil and gas drilling produce radioactive drilling mud, radioactive drilling pipes, and the occasional earthquake, but that’s, you know, “tradition” — it’s how they’ve always done it, it’s grandfathered, mostly. “Fracking” to blow up structures to get gas out, a little more skepticism, at least in some countries. Geothermal heat drilling? After a number of earthquake swarms, that’s being looked at rather carefully. I hope it works out, it’s got great promise (and needs great investment to make it practical, but it might be working before we have fusion power thirty years from now, I mean from now, oh, wait, it’s still thirty years off …). “The presence of a jumpseat in a jet fighter indicates the willingness to consider total failure as an option with a future. I’m under the impression the plants or this one at least don’t have a jumpseat. Is that incorrect? It would be incorrect to say nuclear power plants are less engineered for safety than jets because a jet pilot can eject. Red Blue already brings up a very valid point – there are no ejection seats (or parachutes for that matter) for pilots, crew, or passengers on commercial jets. Many other examples along these lines could be made, but I think you get the point. When electricity first came on line in the early 1900’s, thousands of electricians were killed trying to work with what at the time was considered an extremely weird (but inherently useful) new energy source. There were no rules and little knowledge as to the safe handling of the “product”. It is understandable that people are afraid because the transition from a Newtonian cultural model to that of a “Quantum” mentality is gradual, (apparently) especially for older generations and the religiously fixated. I’m 65 and still trying to get synced even as my physicist dad tried to get me to read Einstein and Enfield many years ago. I keep wanting people to understand that the radiological output of coal fired plants is over a hundred times that of nuclear plants not to mention mercury pollution, etc. It would seem that the NRC and industry arguments in favor of dense-packing the SFPs have been pretty strongly refuted by events this week. It’s time to step up cask production and thin out SFPs, no? The German approach was better after all. EssGee, here’s a truly passively safe reactor design. Not new technology. Am I to understand that dense packing means encapsulation of the cores etc.? I thought that cooling is inevitable with continuous treatment and decay of isotopes? This should occur soon assuming radiation is not too intense in the reactor area. Sorry if I’m way off base. from BBC: 0227: Japan has started using a cooling pump at the Fukushima plant’s stricken reactor 5, according to several reports quoting the Japanese government. It is thought to be a diesel-powered pump, rather than a device powered by the still-to-be-reconnected electricity supply. from BBC: 0403: Tepco says temperatures have fallen in the spent nuclear fuel pool at reactor 5, reports Kyodo.